This was my bible reading for today. I was thinking that If I was hanging around Jesus and saw Him doing all those miracles I would think to myself…duh! This man has supernatural powers…He must be out of this world!!!! 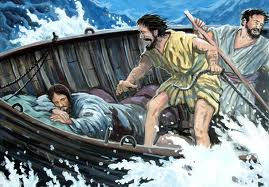 Jesus can you get us a bigger boat so we don’t have to worry about the weather? 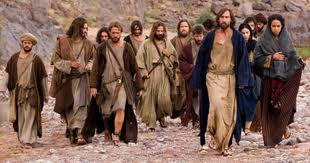 Jesus can you get us a fleet of camels so we don’t have to walk everywhere? What about some donkeys then? Oh Jesus…can we get a food buffet going…I’m really hungry? We can eat pork now… right? So I’d like some bacon , ribs, mac and cheese and apple pie. Master….I’m out of cash….can I get a few bucks…like about $5,000? Too much? What about $1,000? OK 10 bucks? Jesus my knees are hurting from this arthritis… can I get a healing? Did you say speak to the hand? Oh You said the power is in your hands! Sorry bout that. My bad! I’m so glad you love me Jesus! Messiah… you think we can get that mansion now? Oh…then what about a house with a nice kitchen and indoor bathroom? You say we won’t need one because we’ll be on the road….I see. Rabbi…can I use some that supernatural power for my friends… they’ve been asking for a hookup? Jesus …that slap on the back of my head hurts. Jesus you say you’re gonna come back alive? OK we’ll be waiting at the tomb for you. Are you sure you’re gonna be there tomorrow morning? Master your going away for a while…take me with you! Oh you’re coming back again? Soon? OK I’ll be ready! Now I’m serious……Are….”you” ready for His return? He is coming back….VERY SOON!!!!!!!!! 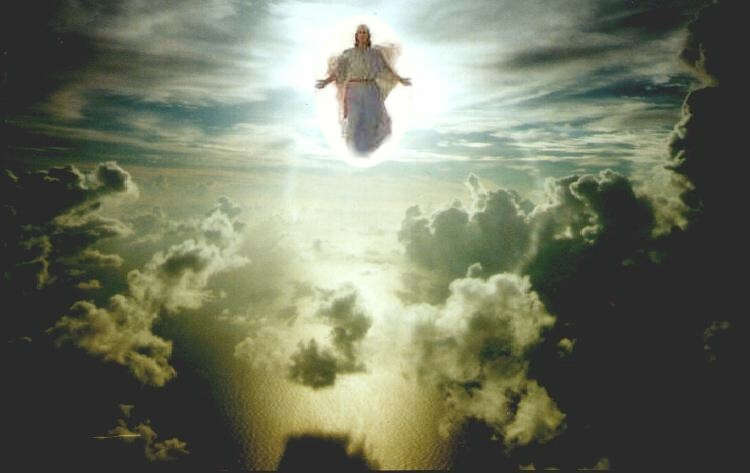 1 Thessalonians 4:16-17 For the Lord himself will come down from heaven, with a loud command, with the voice of the archangel and with the trumpet call of God, and the dead in Christ will rise first. 17 After that, we who are still alive and are left will be caught up together with them in the clouds to meet the Lord in the air. And so we will be with the Lord forever. 13 Brothers and sisters, we do not want you to be uninformed about those who sleep in death, so that you do not grieve like the rest of mankind, who have no hope. 14 For we believe that Jesus died and rose again, and so we believe that God will bring with Jesus those who have fallen asleep in him. 15 According to the Lord’s word, we tell you that we who are still alive, who are left until the coming of the Lord, will certainly not precede those who have fallen asleep. I had the most beautiful vision of Christ return many years ago. Jesus IS coming back for us! He is going to return back to earth and the dead in Christ are going to rise out of their graves where ever that may be and then the Christians who are alive will leave this earth too and meet up with Jesus in the air. How great is that? 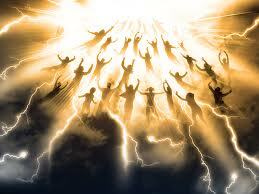 We will all be snatched up from this earth to our meet Bridegroom Jesus. I think about this all the time. It is a beautiful thing to meditate on. This is not a fairytale or a myth…this is a FACT! This will happen to us. By us… I’m only talking about 1 group of people. This can only happen if you are a child of God…a born again Christian…you are saved…you believe in and confess that Jesus Christ the Son of God is your Savior. There is no other way to be raptured or enter into heaven upon your death. 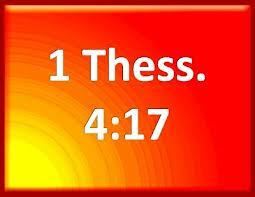 This is what the bible says…which is God’s own words. Every day I think about being with Jesus. Every day I think about my eternal home. Every day I think that this is not my home and I’m only here for a short time. Every day I thank Jesus for making this all possible. Every day I tell myself…”girl you can make it” and I keep pressing on because I want to endure to the end to be with Jesus. Every day I think about how I can get others to hear and believe the good news about Jesus so that they too can be raptured or go to heaven if they die. Jesus is coming back for us any second now and we need to be thinking about the love of our life. Is Jesus the Love of your life? Is he the lover of your soul? Do you lie away at night just thinking about Him? Have you ever looked at a cloud in the sky and think to yourself…”what if it opens up and I see my Jesus? 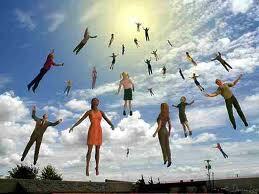 Do you ponder about the rapture? Do you really understand what it is? This is a very important event to look forward to for those of us who are Christians. To think about this soon coming event can bring you so much joy in your spirit. Do you know that Jesus has prepared so much for you? He came to earth and died for you so that you will have eternal life and to give you a blessed life while here on earth. He has prepared a mansion for you in His Father’s house so you will have a place there. He is waiting for you to get there. 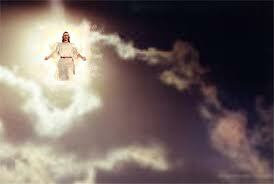 He is going to come back to earth and pull you up from it into His presence to be with Him! Why? Because He loves you so so so much!! He is doing this because you belong to God! You’re adopted into the family of God. You were created in God’s image. You are His! You said yes when the Holy Spirit of God spoke to you! So you have been invited to the wedding and have already sent in your RSVP when you said yes to the Lord!! So after reading this and having renewed thoughts of the rapture…ask you excited? 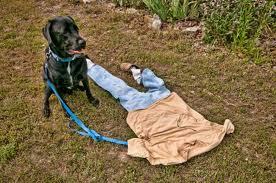 Is the thought of being raptured making you feel like you can go on….like you can make it…like you are loved? Jesus will be waiting for us with open arms and nothing down here on earth will matter anymore when we are with our beloved!! Message for today: The rapture is not a fairytale….it will happen and you and I and all our brothers and sisters in Christ will be there. Are you looking forward to this? Jesus may come back tonight!!! Yesterday when I was in prayer I felt all this commotion going on in heaven of the final preparations for our return home. It took my breath away. I also heard and saw a flashing light warning or sounding an alarm about this in a vision.